I’ll start with the Linden. I’ve coveted this for a long time, but worried about the fit and final look after my #toaster disappointment, I decided I’d go cheap first. Thankfully, Fabricland did not disappoint and I picked up this cute ‘winter jersey’. I can’t remember the price but it would have been under £4 a metre. I made a straight 8 with no adjustments. It’s a bit baggy in the front seams area, but that could be my fault coz I think I was too lazy to iron as I went, and I topstitched the seams in hot pink. It also needs a sway back adjustment probably, but all my clothes have the hollow back baggy look. I’ll try it one day. It’s a wearable length, but I’ll add a couple of inches next time to stop the belly peeking out when I reach for snacks. It was so nice to sew up, straightforward and easy to follow – as long as you’ve labelled your pieces. My only complaint is with the fabric as it’s very man-made so I can boil over in the jumper pretty quickly. My husband says it looks like bubble wrap which is probably what drew me to it in the first place. I’ve got some more expensive fabric for my next one (which my husband says looks like removal men sheets- he’s kind of got a point, but it’s still lovely). I snuck out in my lunch break to do a 30 minute block. There was a Tesco express on the way and it made me buy a Twirl. I did a run! I was so pleased to get back on my couch to 5k journey. Alternate 3/5 minute runs x2. Did a significant amount of titting about at the park at the weekend. Improved fitness makes it easier to climb up to this slide over and over again. You can’t question the style and/or defiance of a 3 year old. Tinker bell dress and sunglasses (despite the blue sky, it was lashing it down). 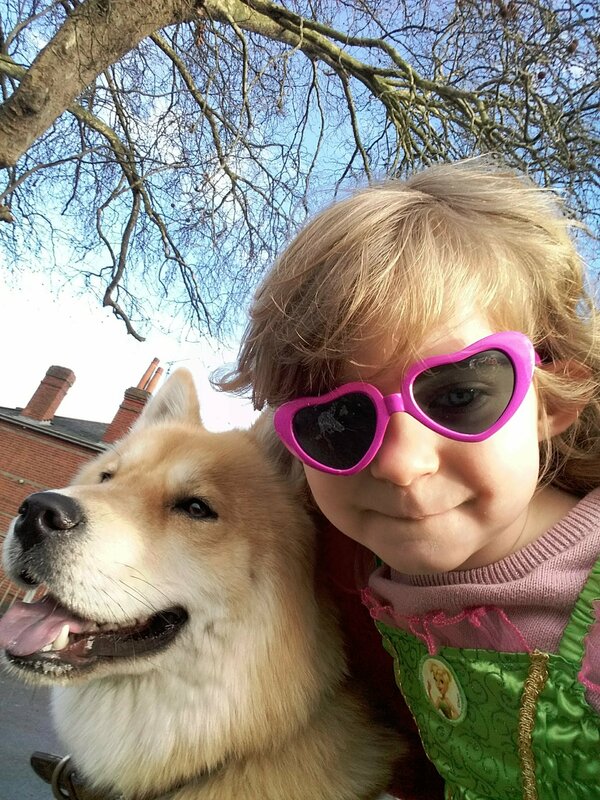 I had a pram in one hand and a chusky pulling my other. We had a blast – and made a stranger laugh. 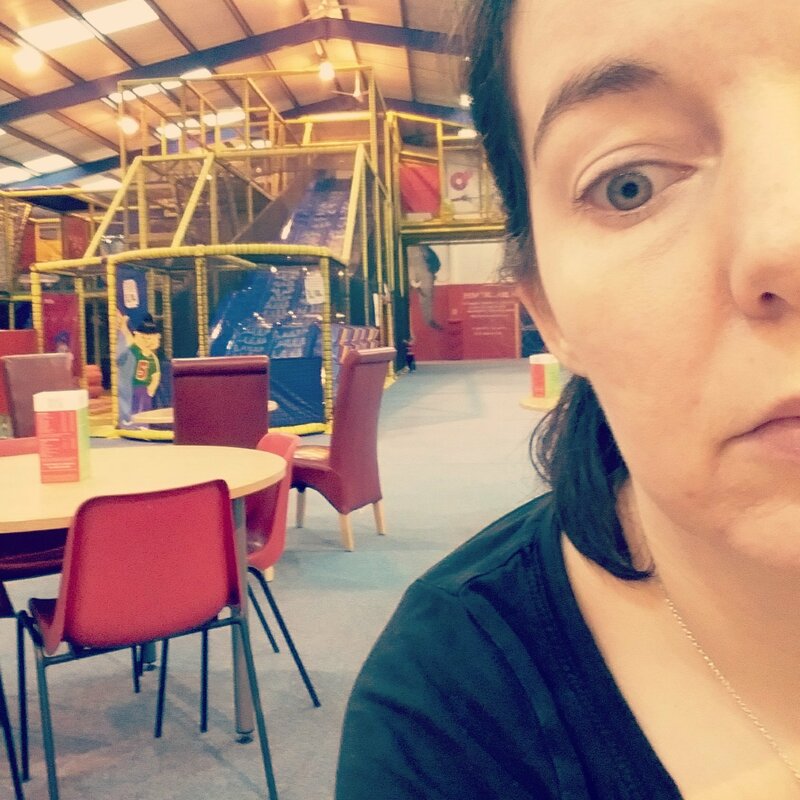 My only indoor pursuit of exercise so far – 2 hours of soft play *shudder. Also lots of football. Fitbit thought I was doing aerobics, if only. Also, there was a cafe. It made me eat a Twirl.